Hey Angelenos! It’s our first event of the year and we are excited to be hosting the “It Rained All Day” release event comprising a music performance, art show and book signing this Friday January 18 till Sunday January 20. 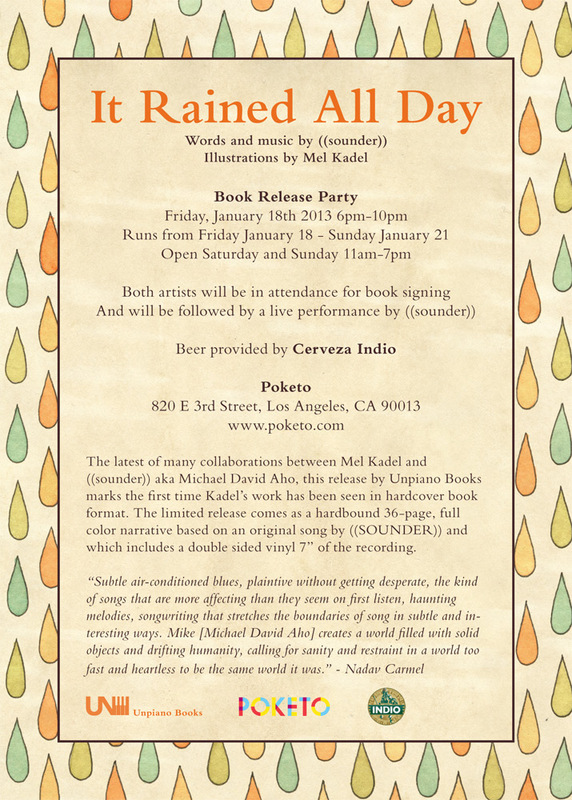 The event will celebrate the release of “It Rained All Day”, a collaborative soundtrack and book between L.A.-based artist Mel Kadel and Austin musician ((SOUNDER)) aka Michael David Aho. 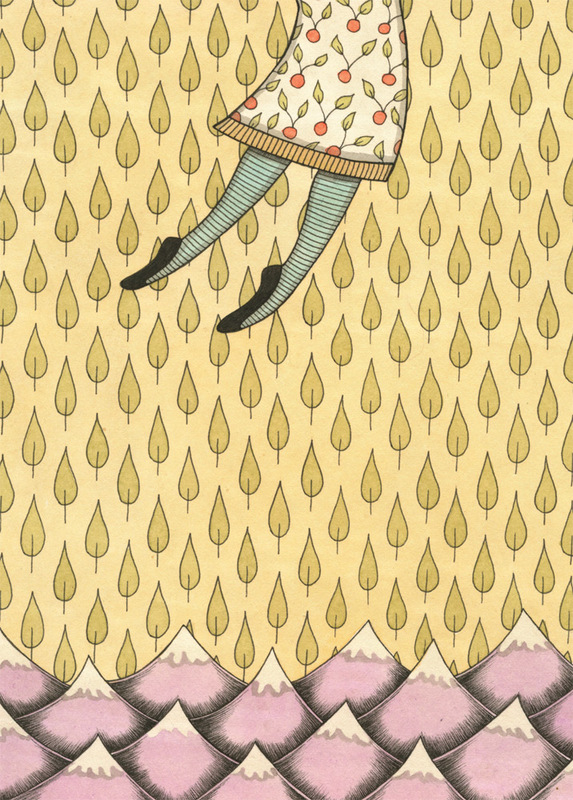 The opening night party is this Friday, January 18 from 6-10pm. Mel Kadel and ((SOUNDER)) will be exhibiting artwork, signing their book and ((Sounder)) will be performing music live. Beverages will be available from Cerveza Indio. For those who can’t make it on Friday, you can also catch the art show which will continue on over the weekend till Sunday, January 20. Published by Unpiano Books, “It Rained All Day” is a limited edition release of a full color, narrative book based on original music by ((SOUNDER)) and includes a double sided vinyl 7” of the recording. Bringing art and song together in harmony, the hardcover book captures a landscape of remarkable complexity and depth through illustrations on thick layers of hand cut paper and original musical composition. The event is free and open to the public, we hope to see you there!